Carbon nanotubes have been pegged as the wonder material that could finally allow us to build a space elevator. A discouraging new study suggests these microscopic strands aren’t as resilient as we thought—and all it could take is a single misplaced atom to bring the whole thing crashing down. Carbon nanotubes (CNTs) are tiny hollow cylinders made of interlocked carbon molecules. When woven together they exhibit extraordinary properties, including tensile strengths up to 100 gigapascals (GPa). To put that into perspective, a single strand the width of a thread could support an entire car. In theory, CNTs could be strong enough to support the tremendous strain exerted by a space elevator—a massive structure that would reach up into space from Earth’s surface. This means that just one misplaced atom is sufficient to weaken an entire CNT fiber. 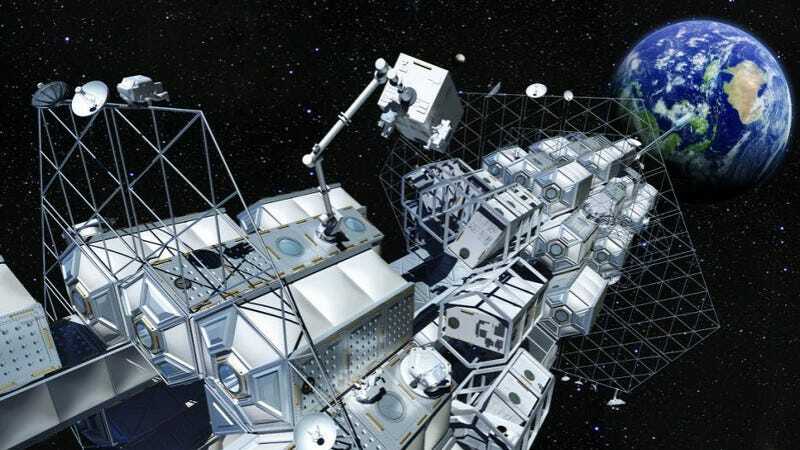 In terms of a potential space elevator, imagine a cable running up from the Earth’s surface into space, and then suddenly ripping apart like a run in a lady’s stocking. That would be... bad. This is definitely a setback in the effort to design and build a space elevator, which will require cables with tensile strengths reaching 50 GPa. If these skylifts are ever going to happen, engineers are going to have to figure out a way to make CNTs perfect at the atomic level—and that’s a daunting proposition.